The North Pacific Fishery Management Council, or NPFMC, took a step during its meeting Monday toward regulating unguided boats that anglers pay to use for halibut fishing. The council may require those boats to be registered and may also impose more restrictive charter bag limits on the customers that utilize them. In recent years, the NPFMC has heard testimony about a perceived increase of unguided rental boats in the Gulf of Alaska and in Southeast Alaska. Many have argued that fishing lodges and charters have been using those boats to skirt more restrictive charter bag limits. “We have seen the guided sector to be very resourceful in creating business entities that are not guided in order to avoid restrictions built into the halibut catch sharing plan,” Andy Mezirow, who represents the charter sector on the council, said. 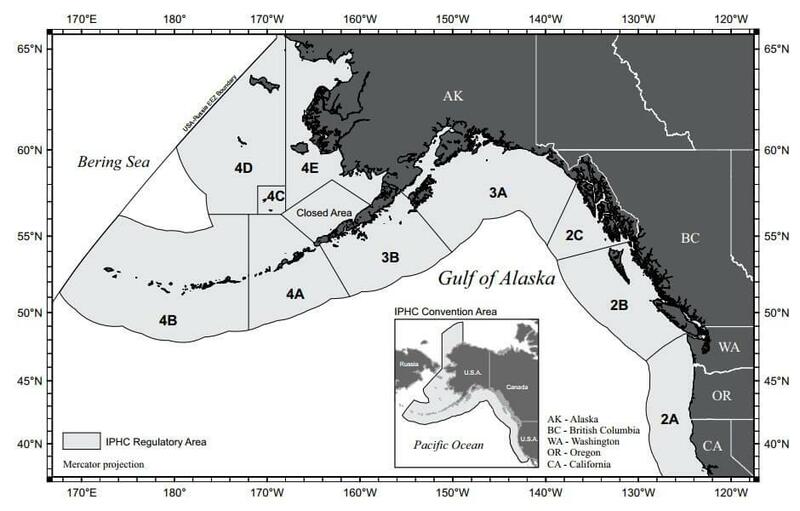 The NPFMC estimates that there are roughly 250 rental boats available in International Pacific Halibut Commission regulatory areas 2C, which embodies Southeast, and area 3A, which covers the Central Gulf. Without a specific registration requirement for these boats, it’s hard to know just how many there are, but catch data suggests there is a problem in Southeast. The sport sector’s harvest is subtracted from the total allowable catch before it’s divvied between the charter and commercial sectors. Mezirow said an increase in sport harvest could reduce the available catch for those fisheries. Halibut stocks are on the decline, and Mezirow also raised conservation concerns in relation to the issue. The council asked its staff to analyze two potential tools that may help it better understand the potentially growing fleet of for-hire boats. “Defining these entities as one for-hire sector, creating a registration and aligning the bag limits with the guided sector is a necessary action to understand and then manage this fleet,” Mezirow said as he read Monday’s motion. The proposed regulations could require businesses that receive any kind of compensation for boats used for recreational halibut fishing to be registered in regulatory areas 2C and 3A. Another alternative could impose charter bag limits on anglers paying to use those vessels. Council member and Alaska Department of Fish and Game Commissioner Sam Cotten expressed concern about the measures potentially reducing Alaskans’ access to the halibut resource, particularly those who can’t afford a boat. Council member John Jenson, who owns a boat rental business in Petersburg, echoed Cotten. However, he said he supported the measure for now. “Hearing that there’s conservation needs in the background here, I’m going to be supporting this for now and see where it goes,” Jenson explained. The council also asked staff to look into tracking how many halibut sport fishermen utilizing for-hire unguided boats reel in each year. However, it’s unclear when the council will receive a final report and when it may take final action on the issue.